DUQuE “Deepening our understanding of quality improvement in Europe” is a research project financed by the EU 7th Research Framework Programme. This 42-month project started in November 2009 and it ended in August 2014. The main goal of the DUQuE project is to study the effectiveness of quality improvement systems in European hospitals. This has been done by assessing the relationship of organisational quality improvement systems/management and culture, professionals’ involvement, and patient empowerment with the quality of hospital care (including clinical effectiveness, patient safety and patient involvement). DUQuE collects data using a mixed-method multilevel cross-sectional design in seven countries member of the European Union. Data have been collected at hospital, departmental, professional and patient levels. Hospitals in the Czech Republic, France, Germany, Poland, Portugal, Spain and Turkey were involved in the project. Appraisal scheme for hospital, policy makers and purchasers - identifying the core quality and safety strategies that should be in place in European hospitals. To access it, please click here. A summary of the final report can be downloaded here. Questionnaires of the DUQuE project are available for other researchers. Please note that the questionnaires content the measures used but are NOT the final measures used in the analysis. Some of these measures have been validated and published in the supplement, others are still in process of validation. Questionnaires are available in the 8 languages of the DUQuE project are in section “Participating countries”. Specific validation in each language has not yet being performed. If you want further information or use the measures for scientific projects please write a summary of the project including: objective, methods (with designs specification), expected use of the needed measure and financing (if exists) and contact DUQuE coordinators Rosa Suñol or Oliver Groene. For accessing to the questionnaires in your language please go the section of participating countries. 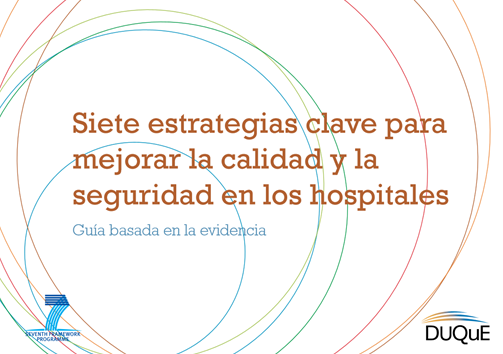 This eBook (available in English and Spanish) aims to provide a framework and evidence to assess and improve the quality and safety in hospitals. It is directed at managers and clinical leaders. The eBook is based on state-of-the-art research and synthesises the results of the DUQuE Project and other large-scale empirical studies, systematic reviews, and expert knowledge. 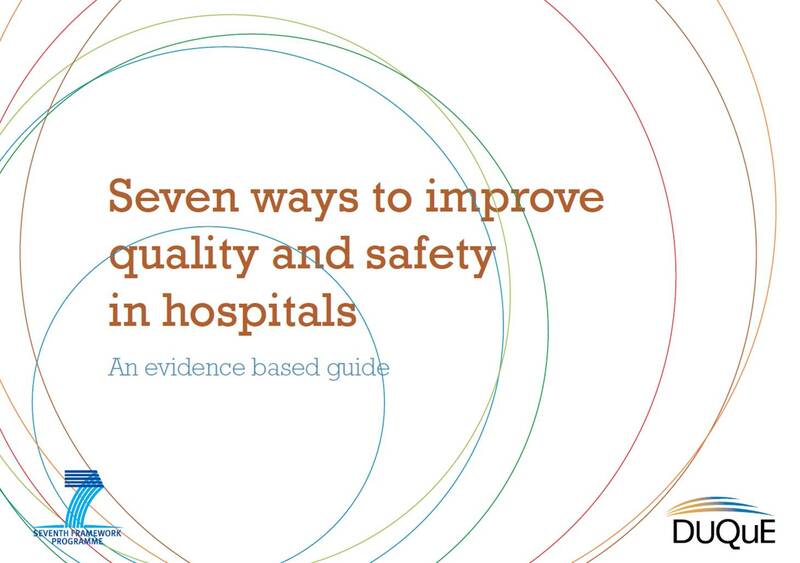 The key findings of this synthesis are reflected in the "Seven ways to improve quality and safety". We do hope that this publication will be helpful in facilitating quality and safety efforts in your hospital.